When it’s just too gross to go outside why bother getting out of bed? Snuggle up with your favorite binge worthy shows and make a day of it. When was the last time you played a good old classic like monopoly? This is the perfect chance. Place a bet on it or turn it into a drinking game to boost the stakes if you’d like. Some other noteworthy choices: Clue, Trivia Pursuit, Cards Against Humanity, or Hungry Hungry Hippos all sound good. If you don’t have any of these on hand, a deck of cards and some stakes would work well too. Spend some time in the kitchen, whether you’re creating a decadent brunch or a fabulous dinner see what delicious creations you can make from what’s already in your pantry. This is the perfect excuse to add a little romance to your life. Take a warm bath, cozy up to a fire, or simply light a candle no matter what you do to make it special the soothing sound of rain falling outside can only help. 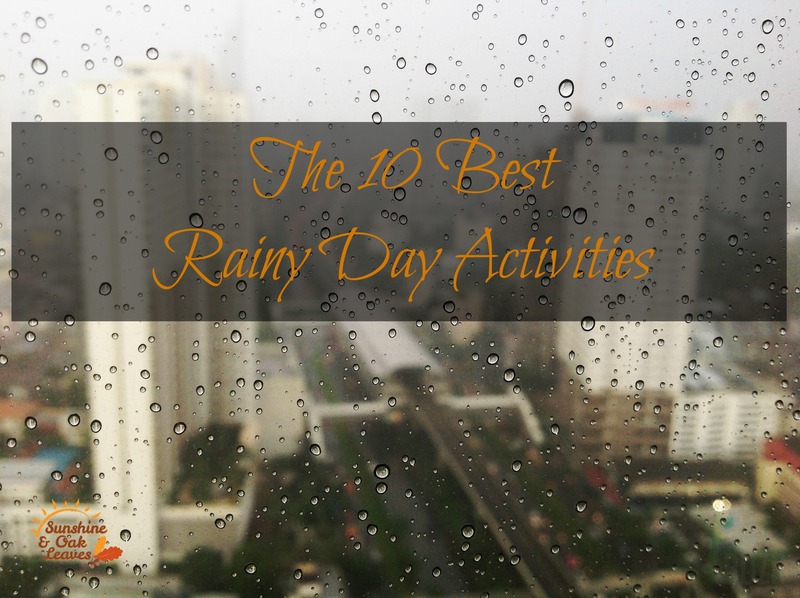 Bust out your inner kid, throw on your rain jacket and make the most of a rainy day. What better excuse to paint the living room or clean out your closet. I bet there’s something you could make into an adventure and check off your to-do list all at one time. Okay so you may not be able to convince your man to partake in facials and pedicures with you, but full body massages may be another story. Take turns playing masseuse, a set a timer to keep things fair. Pro-tip: Baby oil makes a great massage oil and you just might have that laying around the house. Have a wall that’s just too plain? Get a canvas and make your own art. Don’t want to leave the house? Get creative with photography. If you end up with some awesome photos you can even post them to Foap and maybe make some money off of them. Bake up a batch of your favorite cookies nothing will make your house smell better. Bonus points if you deliver them to someone special. This little effort can update your space drastically; just a little change can make things feel fresh and new. Plus, who knows what you could find under your couch?